You’ve probably heard it a million times. Private education is elite because only the elites can afford it. The myth doesn’t come from nowhere. On average, advertised tuition at private colleges often exceeds public ones. But that doesn’t into account massive amounts of aid that lowers actual costs and decades of recruitment efforts that make world-class education affordable to everyone. Now, there’s a new study that proves the point yet again. Far more students from lower-income families attend Michigan’s top 15 independent colleges and universities than wealthy ones, according to a nationwide study that tracked income and attendance records of more than 30 million students. At schools such as Olivet College, Siena Heights University, Spring Arbor University, more than 40 percent of the student body comes from families making $65,000 or less per year. It’s a third or more of the student body at Adrian College, Aquinas College and Andrews University; one quarter at Alma College, Madonna University, University of Detroit-Mercy and Albion College and more than 15 percent at Calvin College, Hope College and Kalamazoo College, the study found. And the notion that it’s just Richie Riches at private schools? False again. Students from families in the top 1 percent of income ($630,000 or more) comprise a vast minority at Michigan’s private colleges – usually 1-3 percent or less. We know that’s a lot of numbers. But the point is a world-class private education is within reach. Students at Michigan’s top 15 independent colleges and universities receive far more financial aid, on average, than counterparts at public institutions. At most of our schools, more than 93 percent receive aid, vastly reducing advertised tuition and making it as affordable — or more so — than big state schools. And unlike public universities, students at Michigan independents actually graduate in four years, giving them a head start on their career — and extra salary — over their public peers. 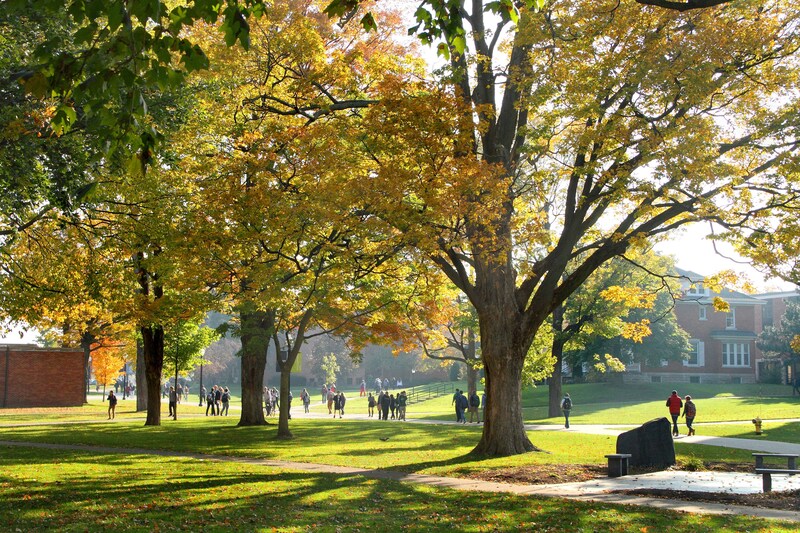 Purposefully smaller, Michigan’s private colleges offer a vastly different experience. Classes are small. Award-winning professors actually teach class — rather than TAs — get to know students and help them chart their own path to rewarding careers. And students immediately are part of a network of alumni who are leaders in their fields. That’s because community, not crowds, are cherished. Happy New Year! Time for new beginnings, new hope and, sure, even some new worries. But getting ready for college doesn’t have to be one. There’s tons of resources out there to help map out the journey. As with any monumental journey, the best bet is to bite it off in short increments and start early. Here are ten tips to make your transition to college easier. Goals are easier if they are visualized. Get a giant desk calendar and some fancy pens and highlighters. Stick it on your wall and mark it up with dates for specific tasks like taking the SAT. Register for the preliminary SAT and National Merit Scholarship Qualifying Test. The tests are usually given in October, help you prepare and can be used to enter into scholarship competitions. Best of all: They can be taken in a classroom. 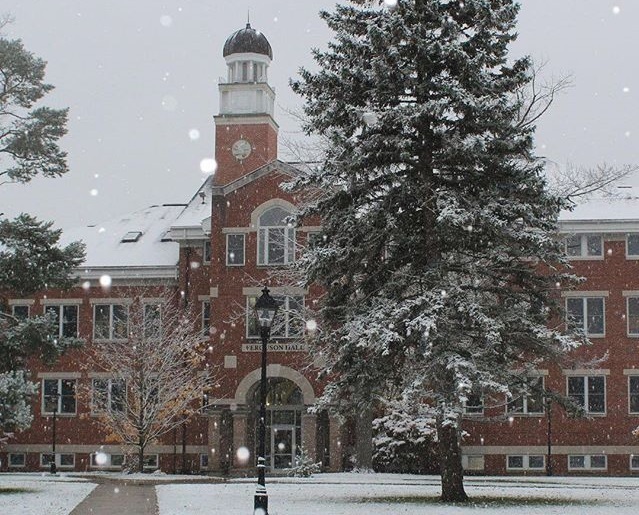 Write down a list of 10-20 schools to investigate – we think these 15 outstanding independent colleges and universities in Michigan should be on the list. Separate them into categories: Top choices, tier twos and fallbacks. Dream big. Do your research. Talk to counselors and teachers. Tons of money is available. Millions of dollars go unclaimed each year. Get your money’s worth from the guidance counselor, do your research and start prioritizing. We really like this one. Most wait until the last minute. Don’t be that guy. Ask early. Colleges offer open houses and campus tours all year long. Don’t wait to schedule one (or three). Absorb the tours but wander off the beaten path. Talk to students in the bookstore. Go to a coffee shop. Fall of senior year is typically when the search hits high gear: Taking or retaking SATs or ACTs, writing and perfecting admissions essays, scheduling interviews, exploring costs and financial aid and completing the free application for federal student aid. Top off your college fund by entering the We Are The Independents monthly scholarship drawing from the Michigan Colleges Alliance. You could win $2K in 2 minutes. This will be one of the best years of your life. Don’t squander a single second. And take it from us: Things are going to be OK and work themselves out. They usually do. There’s so much pressure in college admissions, it’s easy to lose perspective. This is about what is best for you and what college can help you get where you want to be. We understand that at Michigan’s top 15 independent colleges and universities. The colleges are smaller and emphasize community over crowds. Almost everyone nowadays can cite scary statistics when it comes to the cost of college education. Nationwide, the average annual tuition at private schools has more than tripled in 30 years jumping to $32,405 this year, according to inflation-adjusted statistics from the College Board. But the cost of an elite private school education is nothing for students in Kalamazoo public schools. The cost of Michigan’s 15 independent colleges and universities is zero for students who graduated from Kalamazoo Public Schools and attended since kindergarten. 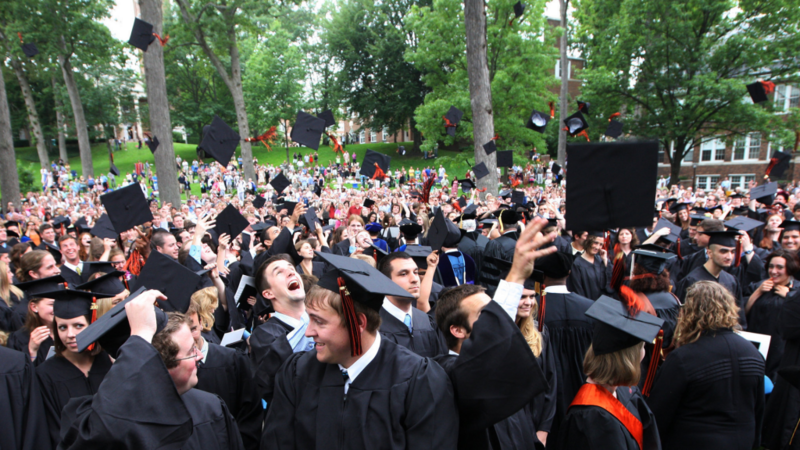 Graduates who attended since at least seventh grade will receive 75 percent of their tuition. 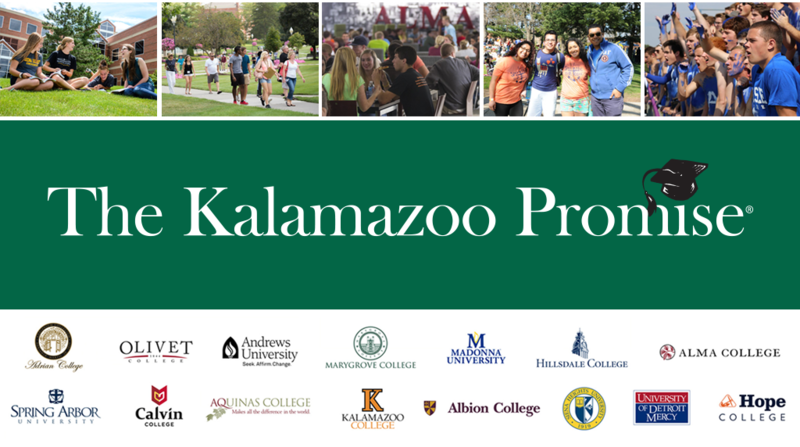 The Kalamazoo Promise is a revolutionary program that is changing lives and putting college in reach for 5,000 eligible graduates since it was launched and funded by anonymous donors in 2005. The schools now send 85 percent of students to college, whose graduates can expect to earn $1 million more over their lifetime than peers whose education stopped at high school. And what an education they can get, especially at Michigan’s independents: Adrian College, Albion College, Alma College, Aquinas College, Calvin College, Hillsdale College, Hope College, Kalamazoo College, Marygrove College, Olivet College, the University of Detroit Mercy, Andrews University, Madonna University, Siena Heights University and Spring Arbor University. The schools pride themselves on helping students forge their own path. Classes are taught by professors, not teaching assistants, with average class sizes of just 17.5 students. The independents open doors to a host of careers, from business and engineering to education and nursing, supported by a nurturing network of alumni who have become leaders in their fields. And the independent colleges look like the world around them. One in 4 students at Michigan private colleges and universities is African American, American Indian, Asian, Hispanic or Latino. It’s that heady time of year again. Graduation season. Time for caps, gowns and a whole lot of excitement. And maybe just a smidgen of anxiety too — especially for those receiving diplomas who still aren’t sure what comes next. First, take a deep breath. Then realize: It’s still not too late to attend college in the fall, especially since many of Michigan’s 15 top independent colleges and universities offer rolling or late admissions. Rules vary by college. But typically, rolling admissions discard traditional application deadlines. Instead, students are accepted until class sizes are met for the following term. That often means that it’s not too late, even in June, to attend one of the finest colleges in the Midwest. Aquinas College, Albion College, Alma College, Calvin College and Hope College all officially offer rolling admissions, while most other colleges accept late applications. And with firmer deadlines — such as Hillsdale College — still take applications for future semesters, giving students breathing room to chart their next chapter. Best of all, applying online is free. Get started by following the links above for those colleges, as well as Marygrove College, Madonna University, Adrian College, Olivet College, Andrews University, Kalamazoo College, Siena Heights University, Spring Arbor University and University of Detroit Mercy. Like all admissions, there’s no guarantees. But the truth is it’s almost never too late to attend the college of your dreams. Worst case, it may take a little longer. Best case, the world is your oyster. That’s because Michigan’s 15 independent colleges and universities pride themselves on accepting students who purposefully chart their own path. Instead of hitting the slopes or sledding hills this Christmas break, it’s a good time for high school juniors to start seriously thinking about their college search. We know. It’s heresy to think of such things on break. But the fact is the next year and a half is going to be a whirlwind and now is the time to develop a plan for applying to colleges if you haven’t already. Don’t freak out if you haven’t. The heavy lifting – essays, recommendations, tests – are still a ways off. But now is the time to start a schedule and chart a to-do list and timeline for the college search. The good news: Most of this stuff now is quick and about laying a framework for the future. You’ll have plenty of time to see “Star Wars: The Force Awakens” for the fourth time. 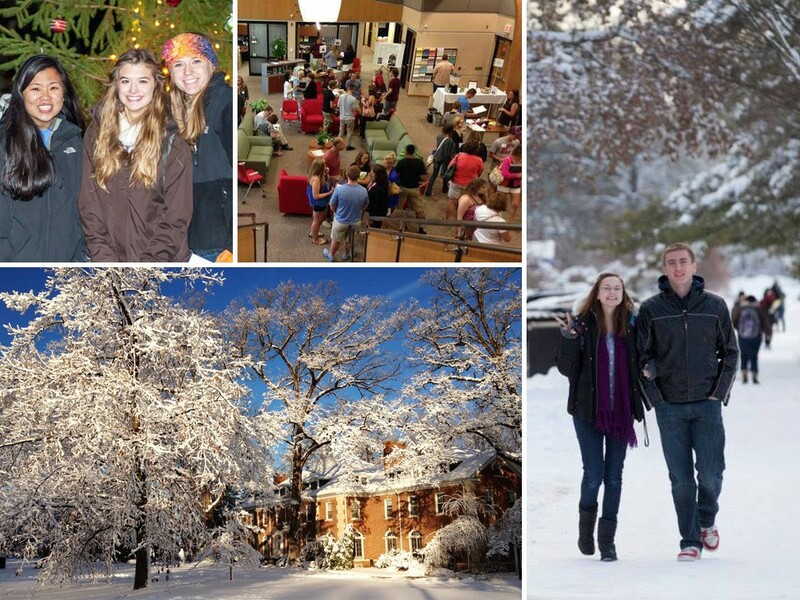 So here’s a few easy goals for the college search during winter break. Write out a schedule or timeline of the college search process. There’s tons of resources online, including one from the College Board. RSVP for a campus visit day or two. Keep an eye out for special overnight visits or visit days for athletics, arts or majors. You can find plenty of interesting options on the We Are The Independents campus events schedule. Make an appointment with your guidance counselor to discuss ways to improve the process and any tips s/he may have. Review PSAT scores and look for areas of improvement. They typically arrive in December. Sign up to take the SAT in the spring. Register online or through school. Practice books are available online at The College Board. If you’re in Advance Placement Program classes, register for AP exams when you get back to school. Take two minutes to enter the easiest scholarship contest you can win, the We Are The Independents monthly scholarship drawing from the Michigan Colleges Alliance. That’s it. Go have fun. Sorry about the lack of snow. Or you’re welcome. Whichever applies. And one more thing: Start researching Michigan’s top 15 independent colleges and universities. Like you, the schools are truly unique and exceptional. All prize themselves on their award-winning faculty and providing a college experience that’s unlike those at traditional big state schools. Class sizes are low. So students are taught by professors, rather than graduate students. They form lifelong bonds with professors, who are experts in their field and can help students discover their passions. It’s one of many reasons the independents boast higher four-year graduation rates. And why graduates of independents are often quicker to find jobs in their fields. And despite what you’ve heard, the colleges are often more affordable than state schools. The hard work is done. The college application process is over. Summer’s almost here. It’s time for relaxing, quality time with the family and — oh yeah — serious high anxiety. Hard as it is to believe, many experience an emotional letdown in the weeks after high school and start of college. You’ve worked so hard and been focused for so long that it’s easy to start breathing heavily after you finally exhale. Keep reading. It sounds counter-intuitive. You’ve read so much to get good grades to get into college. College is all about reading. So read more? Yep. Your brain is a muscle. College is to high school what Denver is to Death Valley: It’s a higher elevation, so you need to acclimate yourself to longer reading assignments. Get a job. Even if you think you know that college is expensive, you don’t really know until it’s Friday night, you have big weekend plans and you’re staring at an ATM bank balance of $9.04. Between fees and entertainment and late-night snacks that Mom and Dad suddenly don’t pay for, college requires significant disposable income. Clean up Twitter. Remember applying for college and removing those embarrassing photos from Instagram? Do it again. This time, it’s not because admissions officers are peeping your Facebook. It’s because future friends are. And do you really want them to know you liked “Bad Grandpa”? Spend time with parents. You will miss them. No matter what you think. Plan special nights with them together and individually. Make memories and take mental snapshots. Because homesickness is as inevitable freshman year as Taco Night at the dorm cafeteria. Begin to reach out. Contact your roommate. Discuss who is bringing what. Start researching cheap textbooks. Start dreaming. Nothing awesome began with tiny dreams. Because soon, you will chart your own path. 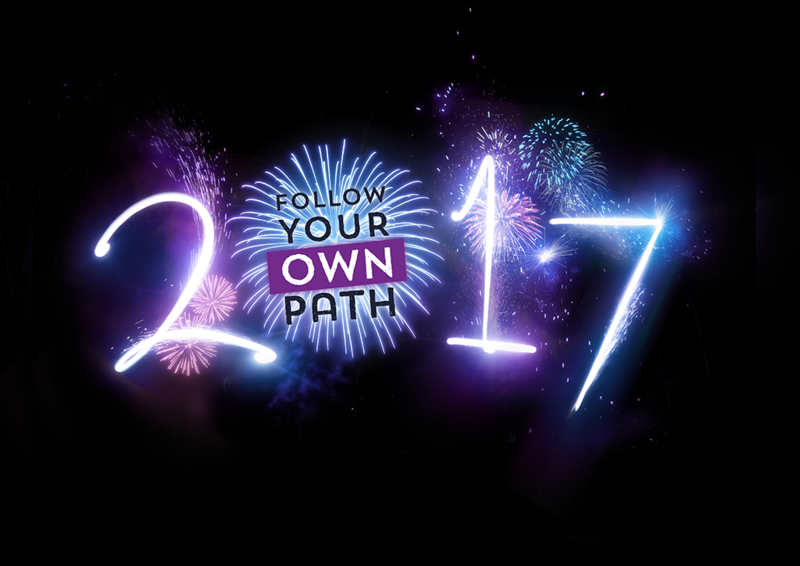 And whatever you do, follow your passion, an approach that guides Michigan’s top 15 independent colleges and universities. Academically rigorous, the schools offer small class sizes. Their faculty are experts in their field and forge lifetime bonds with students who value communities over crowds. It’s fingernail-biting season, as college application responses are arriving in mailboxes of nervous high school seniors awaiting the biggest decision of their lives. Traditionally, the last letters arrive on April 1 and conventional wisdom says fat envelopes contain good news, while skinny ones are rejections. That’s not necessarily true, but it doesn’t make the waiting any easier. Whatever happens, take a deep breath. This is only the start of an incredible journey. It’s hard to fathom now, after months of preparation and anxiety, but getting accepted into college only gets you to the starting line. It’s what happens in the next four years that really matters. 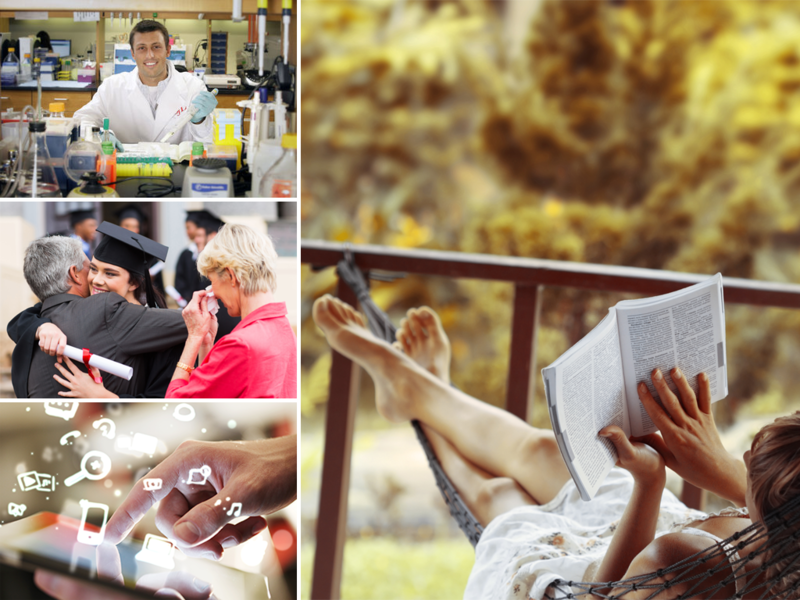 A growing body of research suggests that making the most of college is far more important than where you went to college. In his recent book, “Where You Go is Not Who You’ll Be,” New York Times columnist Frank Bruni writes that job recruiters today are more interested in college grads’ experience than their academic pedigree. It’s an approach cultivated and cherished at Michigan’s top 15 independent colleges and universities. Sure, they’re proud of their academics. And rightly so: They’re second to none, offering small class sizes taught by faculty who are experts in their fields. But the schools excel at helping students follow their passions. Students are part of a dynamic community that includes influential alumni who can help chart their path, rather than follow the crowds.